Angus cattle are beautiful and strong black cattle with somewhat shorter legs. Usually the animals do not have horns, they have been bred out so that the cattle do not injure each other. This is especially important for the heavy, strong bulls. 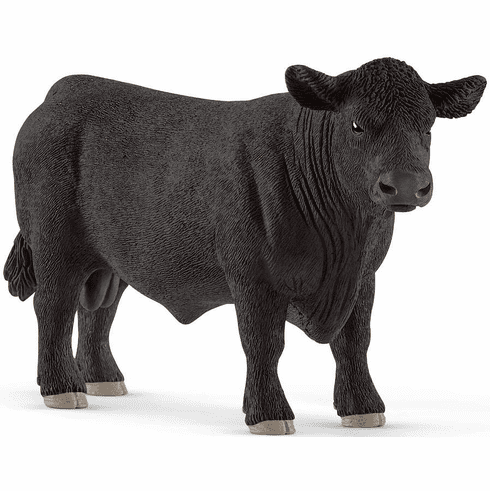 Black Angus cattle are very undemanding and therefore very popular with farmers. Figures measure approximately in inches: 1.5 W x 5.5 L x 3 H.